In 1902, Crawford Johnson, Sr. purchased one of the earliest exclusive franchises to distribute Coca-Cola in Birmingham, Alabama. 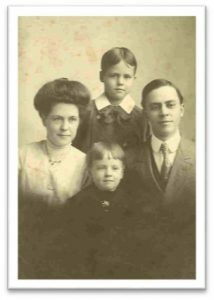 He and his young family moved from Chattanooga, TN and with one employee, a mule named Bird and a foot-powered bottling machine began Birmingham Coca-Cola Bottling Company. Today, Birmingham is the headquarter city for both Birmingham Coca-Cola Bottling Company and parent company Coca-Cola Bottling Company UNITED (CCBCU); which, is the second largest, and largest privately-held, Coca-Cola bottling company in the United States. 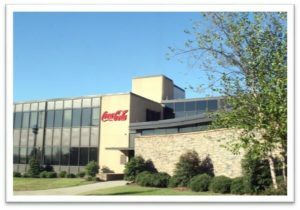 Birmingham Coca-Cola owns the exclusive rights to manufacture, distribute, and sell Coca-Cola products and other products throughout its territory in Alabama. For over 100 years Birmingham Coca-Cola Bottling Company has provided refreshing Coca-Cola products to the Magic City and the greater metropolitan area. Birmingham Coca-Cola and it’s 500+ employees are proud of our continued support of the many civic and charitable organizations serving our communities. Birmingham Coca-Cola Bottling Company proudly supports the United Way of Central Alabama, Children’s Hospital of Alabama, The Civil Rights Institute, McWane Center, Birmingham Zoo, Miles College, the Magic City Classic, the University of Alabama, Auburn University and UAB…just to name a few.